Bethesda, MD is a bustling urban community located in Montgomery County just north of the city boundary of Washington, DC. 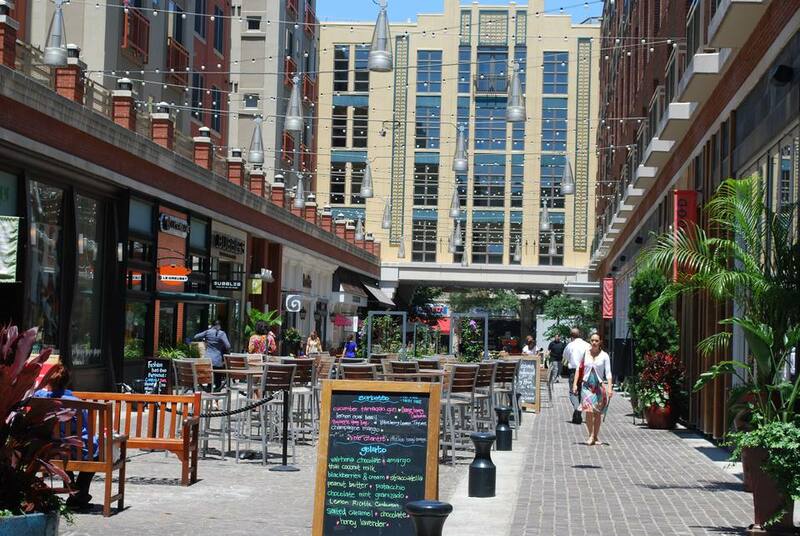 Downtown Bethesda is home to 20 art galleries, more than 200 ethnic restaurants, two live theatres, music and dance studios and numerous boutiques. The area is renowned for three of the world's leading biomedical research centers -- the National Institutes of Health, National Library of Medicine and the National Naval Medical Center. According to the U.S. Census (2010), the Bethesda, MD community is the best-educated city in the nation with a population of more than 60,000. Approximately 80% of residents age 25 or older have bachelor's degrees and 49% have graduate or professional degrees. The median income for a household is $126,414. The area attracts professionals because of its convenience to DC, its first-rate schools, and the numerous amenities within Downtown Bethesda. North of Washington, DC, West of Chevy Chase, and East of I-495. The area commonly known as Downtown Bethesda is centered at the intersection of Wisconsin with Maryland Route 187, Old Georgetown Road, and Maryland Route 410, East-West Highway. See a map. The Bethesda Circulator, a free bus service makes it easy to get around town with 21 stops from Bethesda Avenue to Rugby Avenue. Operating hours are Monday through Thursday from 7 a.m.-11 p.m., Friday from 7 a.m.-midnight and Saturday from 10 a.m.-midnight. No service on Sunday. National Institutes of Health - With its headquarters located in Bethesda, MD, NIH is the nation’s medical research agency and a part of the U.S. Department of Health and Human Services. NIH conducts research in its own laboratories and supports the research of universities, medical schools, hospitals, and research institutions throughout the world. National Naval Medical Center - The military medical center provides care to wounded service members, including Army, Navy, Marine Corps, and Air Force personnel. National Library of Medicine - Located on the campus of the National Institutes of Health in Bethesda, MD, the library has the world's largest collection of materials and information on health care and biomedicine. Cabin John Park - The park has one of the area’s largest playgrounds, a nature center, a miniature train, snack bar, hiking trails, picnic areas, indoor/outdoor tennis courts, an ice skating rink, and athletic fields. Strathmore Music Center - The 2,000 seat state-of-the-art concert hall offers performances by major national artists including folk, blues, pop, jazz, show tunes, and classical music. Writer’s Center - The non-profit organization provides workshops and literary events bringing writers together from around the Washington DC area. Round House Theatre - The 400-seat theatre produces literary adaptations and contemporary stage performances. Imagination Stage - The children’s theater company offers year-round productions of modern and classic plays. The organization also offers classes in drama, acting, dance musical theatre, and filmmaking for children of all ages. Bethesda Row Cinema - The movie theatre specializes in first-run independent and foreign language films, documentaries and classic revivals. Bethesda has nearly 200 restaurants including a wide range of cuisine from contemporary American to Mediterranean, to French or Latin American fare. See a guide to the Best Restaurants in Bethesda. During the warmer months of the year, it is especially nice to dine outdoors in the Downtown area. See Bethesda Restaurants with Outdoor Seating.